Milan Collection - where contemporary design meets modern living! Our Milan Collection is where contemporary design meets modern living and creates a mid-century presence with luxurious proportions. Sleek curved arms, rounded wooden legs, the tight-hand-tufted back upholstered with pristine off-white is as comfortable as it is stylish. This Milan armchair from our petite collection will grace your small spaces and has enough character and elegance to stand alone. Because in luxury living- less is always more! 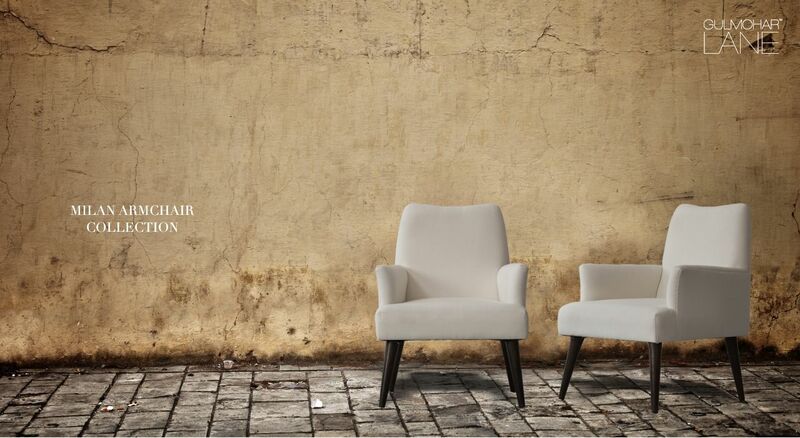 Enhance your living space by customizing this armchair with our wide range of textured natural fabrics.